1. In connection with the provision of the content of the website http://hf5l.pl/ (hereinafter referred to as “Website”) uses the so-called. cookies, i.e. information saved by servers on the user’s end device, which servers can read every time this terminal device is connected, may also use other technologies with functions similar or identical to cookies. In this document, information about cookies also applies to other similar technologies used within our websites. Cookies (so-called “cookies”) are IT data, in particular text files, which are stored on the user’s end device of the website. Cookies usually contain the domain name of the website they come from, the time they are stored on the end device and a unique number. e) “advertising” cookies, enabling users to provide advertising content more tailored to their interests. 4. In many cases, software used for browsing websites (web browser) allows cookies to be stored in the user’s end device by default. Website users can change cookie settings at any time. These settings can be changed in particular in such a way as to block the automatic handling of cookies in the settings of the web browser or inform about their every posting in the user’s device of the website. Detailed information about the possibilities and ways of handling cookies are available in the software (web browser) settings. Failure to change the cookie settings means that they will be included in the user’s end device, and thus we will store information on the user’s end device and access this information. 6. Cookies may be placed in the end-device of the Website user and then used by advertisers cooperating with the Website, by research companies and multimedia application providers. 7. 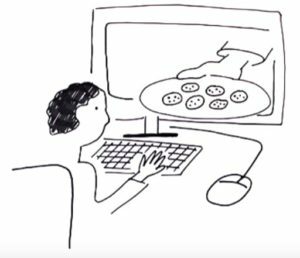 More information about cookies can be found in the attached video or in the “Help” section in the browser menu. 1. The administrator of personal data is the Radio Club PZK LAB-EL HF5L, Herbaciana 9, 05-816 Reguly, Poland, being a member of Regional Department No. 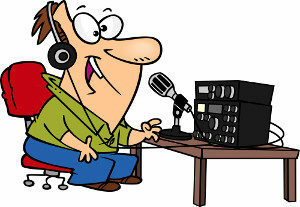 73 of the Polish Amateur Radio Union (PZK), with address: Augustyna Kordeckiego 66 St, fl. U1, 04-355 Warsaw, Poland. You can contact us via the contact form. 2. Providing data in the contact form is voluntary, but necessary to respond. The data entered in the contact form will be processed solely for the purpose of answering queries and for the implementation of statutory tasks of PZK. 3. The data will not be used for marketing purposes. Data shared by you will not be profiled. 4. The data is not transferred to other companies or persons in the country or abroad. Recipients of data will be only institutions authorized by law. 5. The data of natural persons are removed after one year from the moment they were used to provide the last answer or are no longer needed to perform the statutory tasks of PZK (deletion from current register of PZK members). 6. You have the right to access the data contents and rectification, removal or limitation of processing, as well as the right to oppose, demand the cessation of processing and data transfer, as well as the right to withdraw consent at any time and the right to lodge a complaint to the supervisory body (i.e. : President of the Office for the Protection of Personal Data). 7. 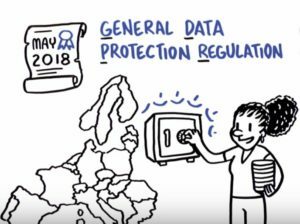 You can find out more about the GDPR from the attached movie.